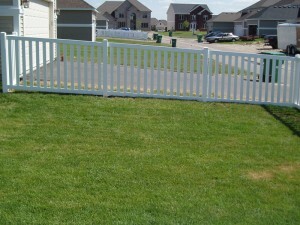 If you are looking for a Fence in Maple Grove, Arrow Fence Co. is your solution. Our Fence Company has over 30 years in the business and we love the process of taking someone’s imagination and building it into a reality. Extend comfort on your property with an outdoor fence addition. Together we can create the most unique or simple fence that will fit your every need. 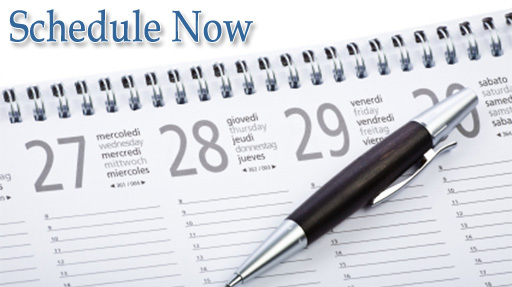 Call for a Free Estimate (763)755-0088. Enjoying a fence in Maple Grove comes easy. With Maple Grove, Minnesota already being such a beautiful location, as long as you hire a contractor that knows their stuff, you can’t go wrong. Arrow Fence has helped many gain more security, privacy and comfort in their own home by installing our high-quality fences and backing them up with a 5 Year Warranty! It is our job, at Arrow Fence to make fencing in your Maple Grove Property easy and enjoyable. See below for popular fencing types we have installed in and around your local area. Vinyl Fencing – With multiple colors to choose from, our Maintenance Free Vinyl fencing works seamlessly into many properties. Our customers love the low maintenance feature and that our vinyl product is highly durable. Contact our team today and learn more about this amazing fencing option. Chain Link Fencing – If you are looking to get the most bang for your buck and fence in a larger area, with less expense – chain link is a great option. Our fence company offers galvanized chain link and vinyl coated chain link to ensure strength and longevity throughout the seasons and years. Ornamental Fencing – A truly timeless addition for any property is ornamental fencing. Often called wrought iron fencing, this option costs more but boy does it deliver elegance and strength. 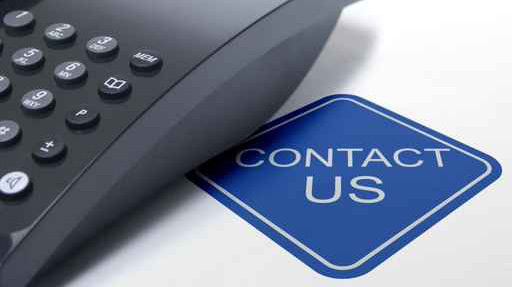 Our skilled staff can customize many aspects to meet your fencing desires. Cedar Fencing – Going back to the basics is a beautiful thing when talking about cedar wood fencing. Wood has been a popular choice for many homeowners when looking to add privacy, interest and security. Contact our cedar fencing experts today to get a no cost estimate on a cedar fence. 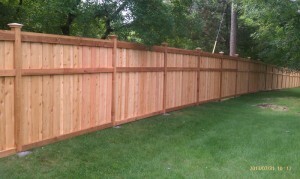 If you need a Fence in Maple Grove, don’t pass up a Free Estimate by Arrow Fence Co. (763)755-0088.